Growing up with a dad who is also a dentist, Dr. Smith knew from an early age that she wanted to pursue a dental career. With dentistry, Dr. Smith gets to have the time and energy to devote to her family, while still pursuing her passion to serve and care for others. Dr. Smith was drawn to Periodontics, in particular, because of her love for the surgical and artistic aspect of it, as well as the fact that it is very evidence-based. She is very passionate about educating patients and helping them to achieve their oral and systemic health goals. 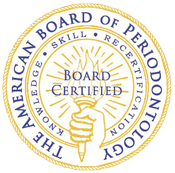 Dr. Smith is a diplomate of the American Board of Periodontology. This signifies that he made significant achievements beyond the mandatory education requirements of the specialty of Periodontics and Implantology. 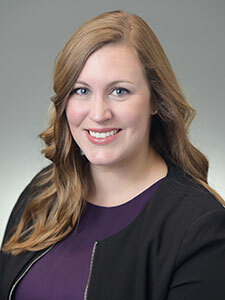 While in her Periodontal residency, Dr. Smith completed a Masters research project and successfully defended her thesis investigating the possible link between obesity and peri-implantitis (gum disease around implants). Dr. Smith invests a significant amount of time in continuing her education and expanding her knowledge. She feels very passionate about staying up-to-date with the emerging technologies as they apply to periodontal management and implant dentistry. Outside of the office, Dr. Smith enjoys spending time with her husband, Ian, young daughters, Eva and Clare, and dog, Captain. They enjoy exploring the Minnesota Landscape Arboretum (and other area parks), biking, going on family walks, and travelling.